We are delighted to invite you to our first official joint event with our new cooperation partner Hamburg School of Business Administration (HSBA). Cost: No admission fee charged! Chris Jephson will explore the opportunities global trade has to offer with special regards to different scenarios aiming at foreseeing the evolution of global trade till 2030. Mr. Jephson was, until recently, Director of Learning at Maersk Line. Following graduation in the UK in 1969, he worked for Maersk Line in Taiwan, then in Copenhagen and the UK until 1990 when he became part of the global management team of Maersk Logistics before moving back to Maersk Line in Copenhagen in 2004. He has been a long-time member of the US-based Council of Supply Chain Professionals (CSCMP) as well as the Cranfield Centre for Logistics and Supply Chain Management Advisory Board (CLSCM). In 2014, together with Henning Morgen, he published the book “Creating Global Opportunities”, with Cambridge University Press and Gyldendal Business, in English and Danish. 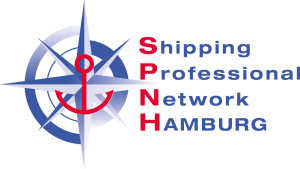 We are very much looking forward to welcoming you at our SPNH-HSBA Event!